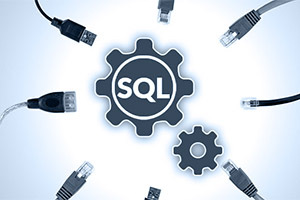 Troubleshooting SQL Database Connection - New West Technologies, Inc. If you are receiving the “Connect to Server” error when working with your SQL database connection, there are a few basic troubleshooting tips for you to follow that may help to resolve the database connection issues. Below are five steps you can take to troubleshoot the connection. If you need more advanced assistance after taking these steps, our technical services team can help. When you receive the SQL Database connection error, start with the following checks and note the results for each item. Your notes can help a service technician avoid duplicate work. First, check that the server is powered on and healthy. Have you had any power surges or outages to knock your server offline? Try rebooting your server. A server reboot may alleviate a stuck SQL instance. Next, does your server computer have a network connection? Are you able to ping the server address from another machine? You will want to verify that your network adapter is on and running properly and not in sleep mode. Making sure your network adapter is set to not fall into sleep mode is best practice. The quickest way to find out if your SQL service is running is to open the task manager, look under services and find your SQL instance name. Another option is to open SQL Server Configuration Manager and verify under the state of your instance that it says running. Please note that a reboot can also restart the service. Depending on your settings, your Windows Firewall may be blocking the connection. To test this, disable the windows firewall from Control panel –> Windows Firewall –> Disable. If your SQL database connects properly with the firewall down, you will need to make a port exception for the specific SQL database connection you require. Finally, if nothing else works, you may need to change how your client machine points to SQL. Under file -> configuration you will see how the connection looks to the database. The connection may be an IP or hostname along with an instance name and port number. Like this example: 192.168.1.100\SQLExpress,1433. Using that information will properly point the connection using all available information. You can also replace the IP with hostname if you do not have a static IP address set on your server, and this option is strongly recommended. If you have done the above troubleshooting steps and are still receiving errors and not able to complete the connection, contact our help desk. Our technical services team can assist you in further troubleshooting in order to resolve your SQL Database connection issues. Josh Plumlee has over 10 years of experience building custom PCs and a vast knowledge of computer hardware and performance. In his free time, he likes to ride his motorcycles and experience the outdoors camping, hunting and exploring.